As the name suggests, here you’ll find a selection of archery accessories that are generally useful to the longbow archer. 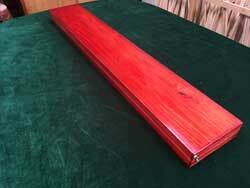 Such as arrow pullers, bow bags, wax etc. etc. These arrow boxes are made to order by Marc and can be clear varnished or stained in dark oak or mahogany. The arrow mounts will be made to fit your arrow length, leaving a small compartment at either end for small items such as tab or spare string. 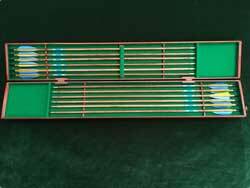 Lined in green felt with brass hinges and hooks these boxes are not only excellent in protecting your arrows but beautiful too. External size 32”x 7”x 3”. A useful addition to your tool kit. 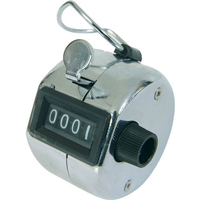 Use it to count arrows or for counting whilst tillering a bow. 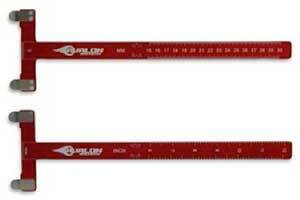 A useful tool to add to your quiver to measure the bracing height, nocking point and the tiller of your bow. Essential for maintaining the consistency of your shooting. Adjustable tension & smooth thread flow. Excellent for quick, tight center servings. 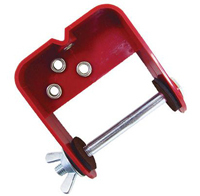 Includes a large, feeder hole and bushing to ease threading & prevent wear. A useful addition to your archery tool box. 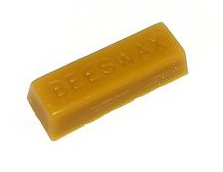 100% Pure English beeswax. Ideal for wax ing your string to protect it from the weather whilst reducing friction and abrasion. The traditional way to wax a string. 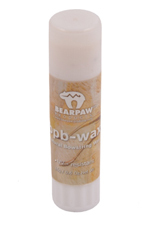 Bearpaw Products bpb-wax is based on 100% natural beeswax. It reduces string friction and abrasion and lubricates your bow string, extending the life time of your bow string and protects it better against environmental and harsh weather conditions. 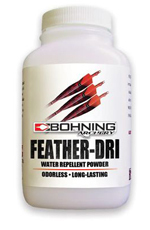 Water repellent powder for feathers. The easiest feather treating system available. Simply shake the feather end of a fletched arrow in powder and go. Colourless, odourless, and will not affect feather adhesion. This tube is ideal for storing and transporting your arrows. Telescopic adjustments to fit your length of arrows. Gives your arrows protection from the weather and from knocks whilst travelling. Adjustable strap to make it easy to carry. Our bow bags are made locally. 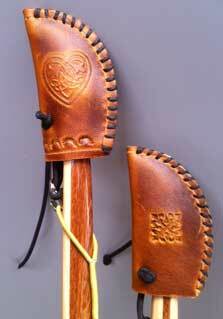 They are made from a heavy upholstery fabric to provide a smart but protective cover for your bow. The fabric allows the bow to breathe. For ease and safety of stringing your bow. A double looped cord for easy and safe stringing of your bow. Ease your bow safely into its shooting position. A handy arrow puller for all arrow types and sizes. 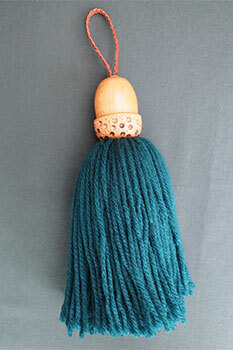 Tassels with individually hand-turned acorn design tops. A very useful addition to your belt. Ideal for cleaning those stray arrows that find their way into the grass or a muddy patch! A unique and entirely bespoke item. (Other round shapes and wool colours available on request). Hand crafted to order so finished product may differ from image. Prevent the annoyance of your string slipping off as you take your bow out of its bag. 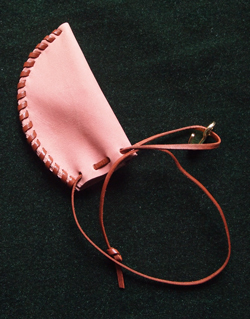 The hand whipped suede string keep slips neatly over the top nock of your bow. 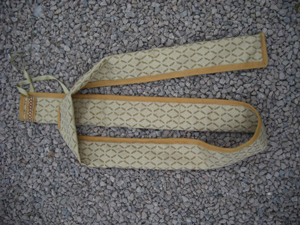 The string slips neatly over the clasp and is pulled tight preventing the string from slipping off. 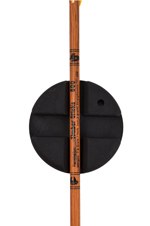 The soft, supple string keep protects your top nock and helps maintain the number of twists in your string, protecting the bracing height of your bow. 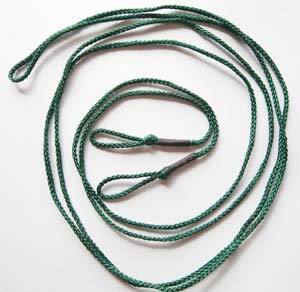 Soft leather string keep with adjustable elastic hook cord. Leather can be tooled/initialled/personalised on request. (Size 3”x 1.5”). Practical and classy looking protection for your nock and string.